These trips often use multiple bikes or boats. Our bikes can take groups as large as 86 and our bike up to 32. The prices below include use of the bike, driver and sound system. Free cups, ice and use of coolers to make planning easier. Mon - Tuesday........... $299.99 **plus gratuity, traditionally $6.00 a person. Wed - Thursday........ $349.99 **plus gratuity, traditionally $6.00 a person. Friday - Sunday......... $389.99 **plus gratuity, traditionally $6.00 a person. All trips last 100 minutes. The trips leave from the Buffalo River Works located at 359 Ganson Street. The trip we will cruise the historic Buffalo River. The prices below includes use of the boat, Master Captain and First Mate. Free cups, ice and use of cooler to make planning easier. 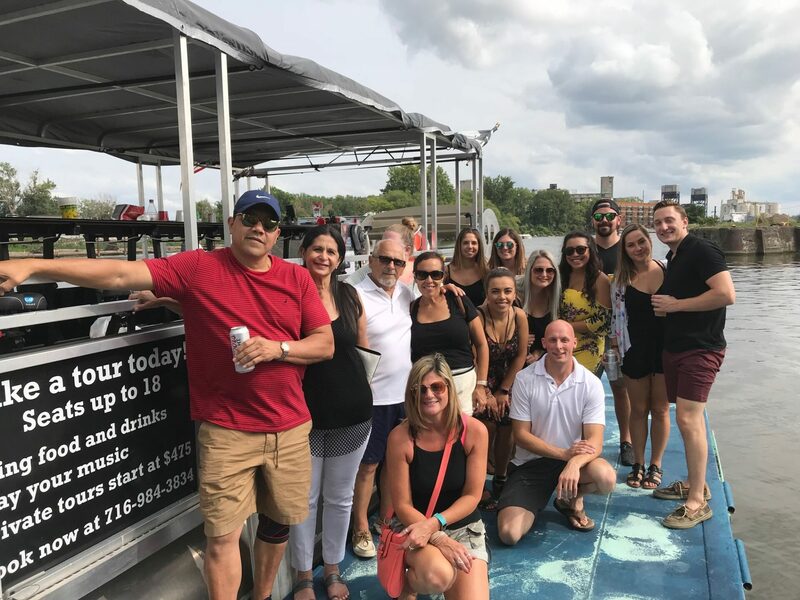 Take your clients and key employees out for a fun time on our party bike or party boat. So are you looking for a way to treat your employees or impress your out of town guests? 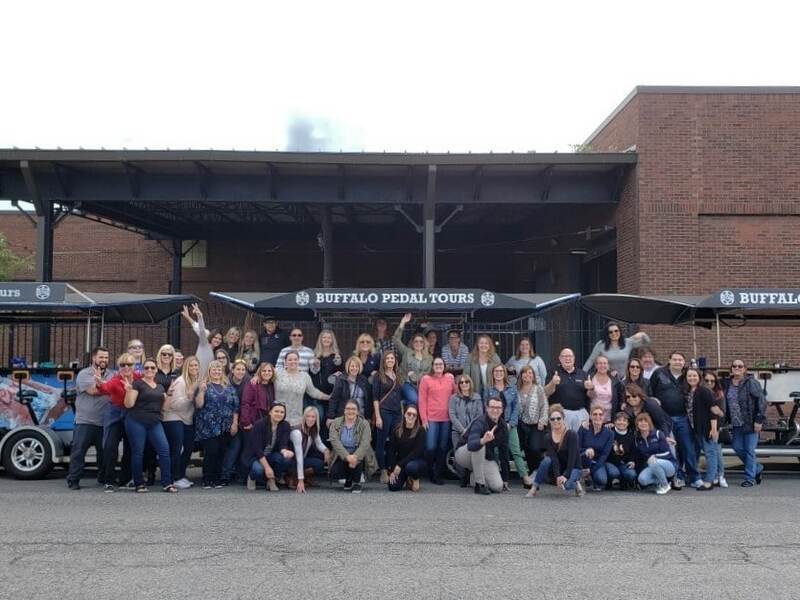 Since 2014 Buffalo’s most successful businesses have called on Buffalo Pedal Tours as their choice for team building and to entertain their out of town clients. When Starwood Hotels was looking for a way to promote their company during the NHL draft in Buffalo in 2016 they rented all our bikes. When Coors beer of Golden Colorado wanted to promote their beer in western New York back in 2016 they called us. They have used Buffalo Pedal Tours to advertise for three years. 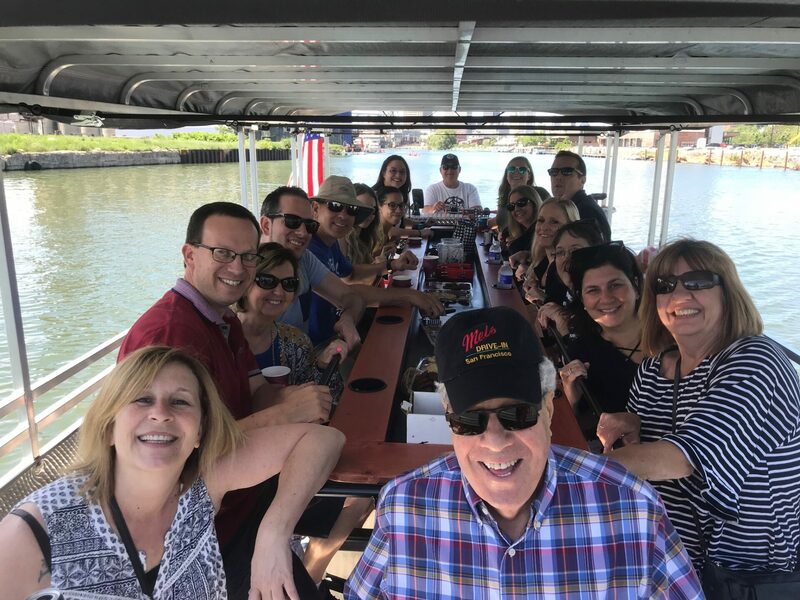 All of Buffalo’s most successful companies use our bikes and boats to entertain their employees and clients. We offer a variety of options, from our traditional pub crawls on our bikes, to progressive dinners, to architectural tours, to boat trips. If you’re looking for a fun group experience that showcases Buffalo’s architectural attractions, best brew pubs, or hottest restaurants we . Our experienced staff are here ready to help. We have done thousands of trips and are ready to share our tips with you. Our goal is to make your event special and easy to put together. We can take groups from 8 to 86 people out for road events and from 10 to 32 on our boats. Some groups wear their corporate gear and put a banner on the bike bike or boat. Others keep it disceet. You select the music, it’s as easy as connnecting to our Bluetooth sound system. You can bring your own food and canned beverages( limits apply) on the bike and boats. You can also have the boat trips catered by Riverworks! Call us at 716-984-3834 to learn more about our special packages and upcoming offerings or book using the button below!